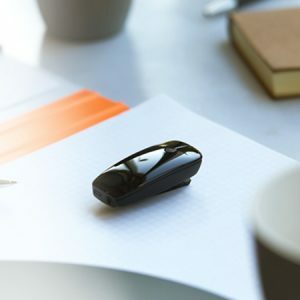 Roger Pen is a cutting-edge wireless microphone that enables people with hearing loss to hear and understand speech in loud noise and over distance. Built on game-changing Roger technology, this fully automated solution is proven to perform better than any wireless microphone in the industry. 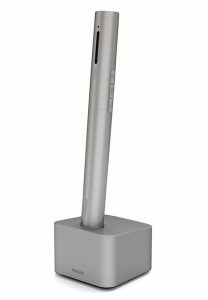 It can be used as a standalone microphone or alongside other Roger Pens or the Roger Clip-On Mic. It features Bluetooth for cellphone calling, and can be used to listen to TV and multimedia. A Clip-on Mic is an easy to use wireless microphone that enables people with hearing loss to enjoy effective one-to-one communication in loud noise and over distance. This discreet shirt-worn accessory is used by the partner of the hearing aid user. It is fully automated simple to use. It can be used as a standalone microphone or alongside other compatible accessories. It can also be used to listen to TV and multimedia. The phone includes a booster mode for those moments when users are not wearing their hearing aids, and thanks to wireless streaming, the user can hold the phone in a regular manner.